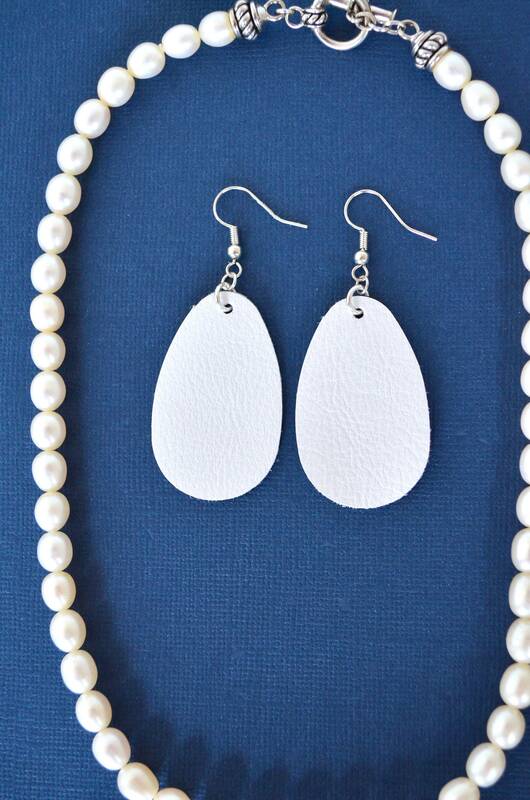 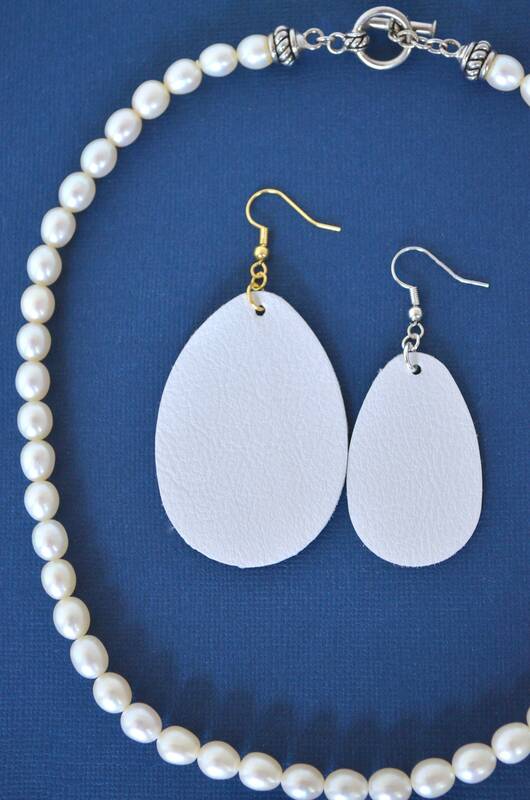 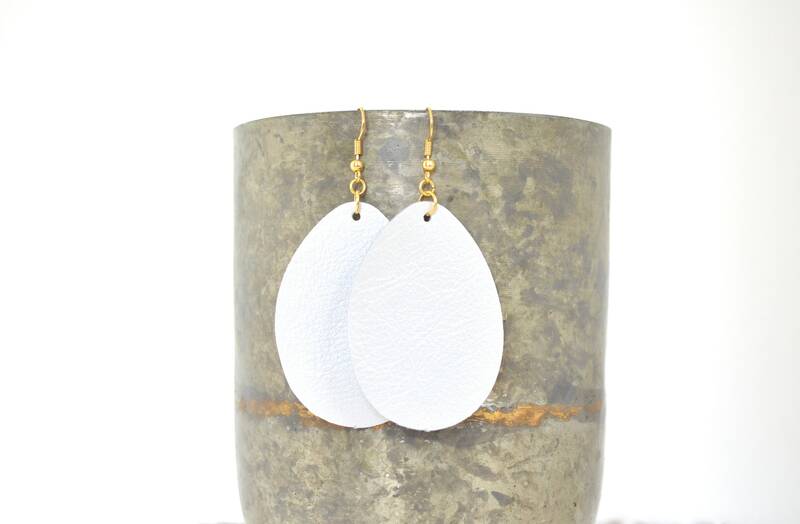 White Leather Teardrop Earrings - Choose from large or small. 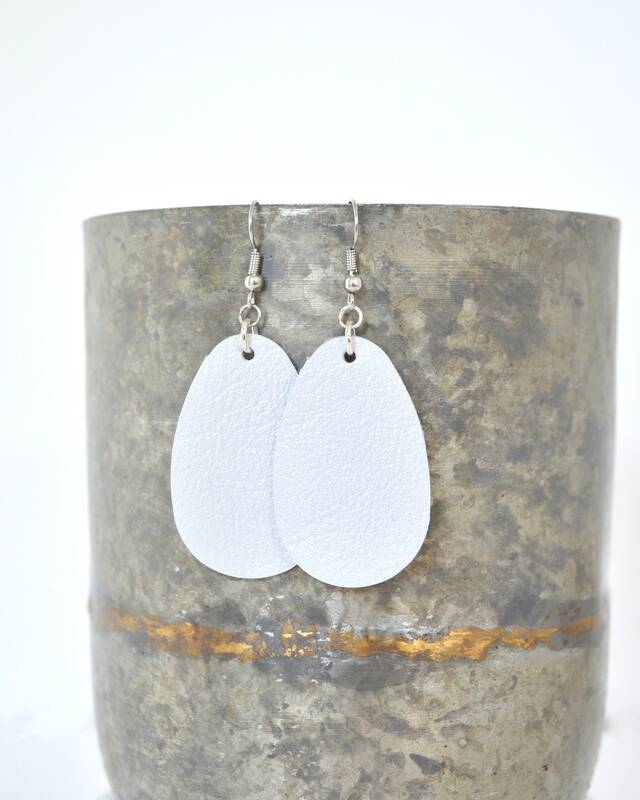 Nickel free hardware. 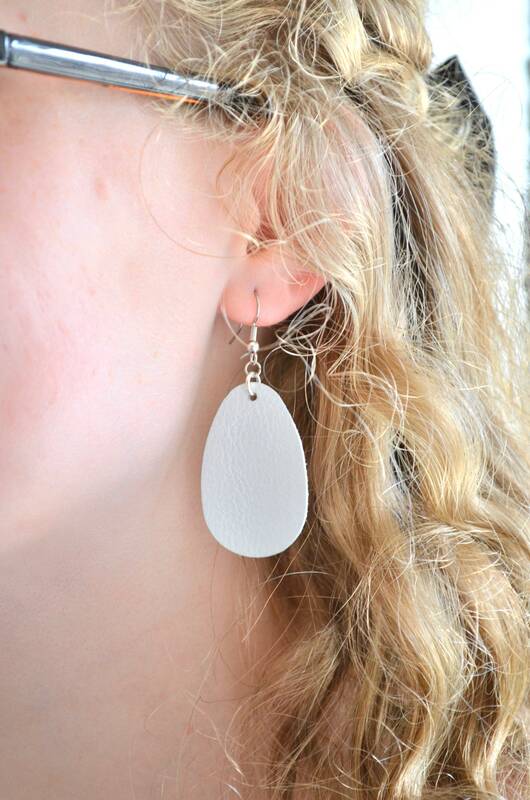 Essential oil diffuser fashion for all occasions.